Callum Hunt has been told his entire life that he will not be attending the Magisterium, which is the magic school both of his parents attended. His father firmly believes it brought them only bad things and the tragic death of Callum’s mother. When Callum gets the invitation for the admittance test he brings nothing with him as he has no intention of going with the Masters to the Magisterium at the end of the trial. He does everything in his power to fail this test and succeeds remarkably well, which is why he is so surprised when the greatest master chooses him to mentor along with two other students. Callum’s father refuses to let him go, but is overruled and Callum is forced to go to the school he has been told his entire life will only lead to his downfall. Can he succeed even if his father thinks it’s impossible? Why was he chosen if he performed so poorly on the test? Will this be the first place he has ever truly fit in? 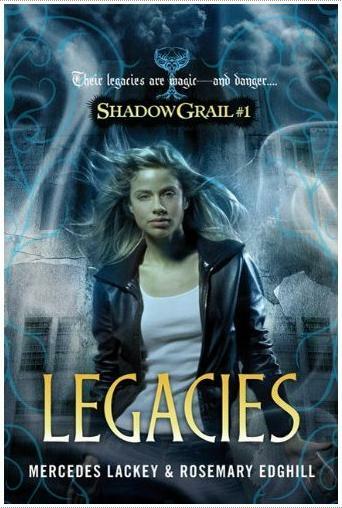 This is the first in a five book series by Holly Black and Cassandra Clare, two very popular fantasy authors. It will inevitably lead to comparisons with Harry Potter, but there are enough differences to intrigue Harry Potter fans. Callum’s character is flawed and in no way a real hero to the story, but yet throughout the story he steps up when his friends need him even knowing he very well could fail and make things worse. There are many unanswered questions that will leave readers wanting more. 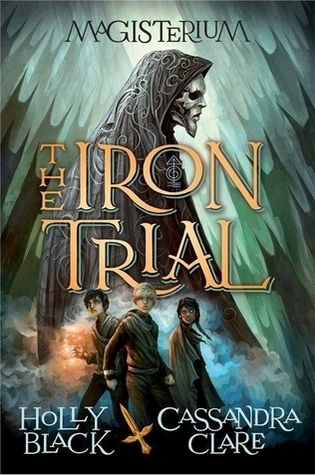 Recommended for struggling readers who enjoy fantasy. Benson is a foster kid who has been passed from one home to another for years. He finds information about a boarding school online and applies for a scholarship. He hopes to find a home for the rest of his high school life so that he does not have to face being the new kid anymore. When he arrives at his new school, Benson is not as excited as he thought he would be. The entire school is covered in electrified barbed wire and security cameras. There are no actual adults in the school and all the kids are responsible for doing everything, such as teach and cook meals. The kids have broken into three gangs to try and survive, but Benson is not willing to accept that there is no way out, despite the insistence that anyone who tries to escape never returns. Can Benson find a way out? Can he handle the answers he finds along the way about the truth behind the school? Variant is engaging from the second Benson arrives at the school. There are so many factors involved in the make up of the school that it becomes almost impossible to ascertain why these students are being held captive there. The author adds an interesting twist about halfway through the book that makes it even harder to determine what the purpose of the school is. There are many characters, but they are described in a way that makes it easy to understand why they are responding to life in the school this way. 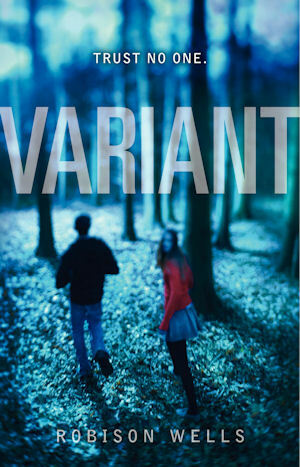 Fans of the Maze Runner series will love this storyline. Ty witnesses an attack in a park and decides to go to the police to explain what he saw. He has no idea that by doing this he is placing his family and himself in terrible danger. When he is allowed to go back to his apartment to pick up a few things the building he lives in is bombed. Ty and his mom are sent into witness protection and Ty becomes Joe. 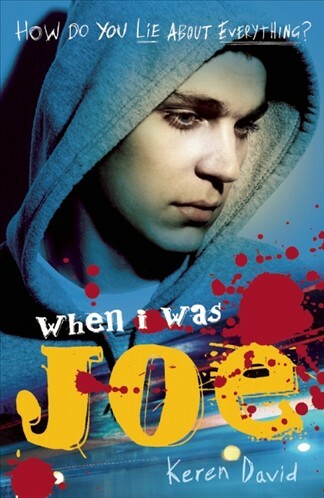 Joe’s life is a lot better than Ty’s and Ty starts to realize how much he hated his life before with the gang violence, bullies, and academic pressure from his mom. As Joe starts to succeed, make friends, and even join sports teams he constantly fears that someone will find out who he is and turn him over to those who want to hurt him. Plus, he is not telling the whole truth about what happened that fateful night in the park. Can he forget his old life and become Joe forever? Will he and his family be safe? Will the truth ever come out? This story is interesting in many ways and really encourages the reader to think about what it would mean to have to leave everything behind and become a new person. It also realistically portrays how such a change can affect a family dynamic. Ty’s story is realistic and you see many sides to him. The story drags a bit near the end and readers will be frustrated to see his story does not come to a conclusion, but anyone who likes action and suspense will enjoy this title. Recommended for teenage boys especially. Spirit must attend the boarding school Oakhurst Academy when her family is unexpectedly killed in a car accident. Upon arrival Spirit is notified that she is a legacy at the school, which means that one or both of her parents attended this school. The school is a boarding school for orphans who have magical abilities. Despite the assurance she has magical abilities, Spirit cannot seem to find any affinity to any magical gifts. As the school year progresses, students start disappearing and Spirit and her friends take on the task of finding out who or what is causing these disappearances. For fantasy fans, this story will be a page turner. The character development does not seem as developed as in other popular fantasy series, like Harry Potter, and there is virtually no involvement of adults so it is unclear who actually knows what is going on with the mysterious disappearances. The mystery itself is interesting, but there are many unanswered questions regarding Spirit’s past and her actual magical abilities. Recommended for serious fantasy fans. Haley Patterson was a perfectly happy freshman with two best friends and a place writing for the school newspaper. After she writes something for the paper that the most popular girl in school, Camilla Quinn, takes offense to Haley’s life changes dramatically for the worse. Camilla spreads vicious rumors about Haley and forbids anyone to talk to her. Everyone is terrified of Camilla turning on them and suddenly Haley finds herself alone and tortured by everyone all day long. This bullying takes its toll and by summer vacation she wants to hide out. When her parents send her to stay with her aunt for the summer, her aunt insists she get a job at a nearby county club. Haley is unsure of how to make friends anymore and how to trust people in general, but she begins to realize that some of the people she has met over the summer are truly good people who want to get to know her. Can she let her guard down and become friends with them? Can she tell her parents or aunt why she had such a difficult spring? Can she ever return in the fall to face Camilla? This story discusses bullying from a girl’s perspective. Nothing physical is ever done to harm Haley, but the mental abuse is just as bad as anything else she could imagine. The power of peer pressure and the need to fit in and feel accepted is very real and present in every high school. Haley’s story of despair to hope and eventually revenge is a good story to give those suffering from this type of bullying hope. However, in many instances students do not have the support system Haley finds. It’s important for all students to be aware of this type of bullying and to be willing to stand up for those around them that are the victims of it. In this sequel to What My Mother Doesn’t Know we find out what happened when Sophie went to sit with Robin instead of her friends. Instead of supporting her new relationship with the school outcast, her friends and everyone else choose to cast out Sophie as well. Since this book is told from Robin’s perspective we find out just how difficult it is to be a social outcast. His name is even used as an insult toward others. Even though he tries to be cool with the teasing and cruel jokes, this story makes it very clear how much it hurts him not to fit in anywhere. As Robin is a gifted art student he is invited to audit a Harvard art class and finds himself immersed in an environment where he is not treated as a freak, but instead as a person. He finds these classes as an escape from daily life because as bad as it was being an outcast, it feels worse now that he has made Sophie one too. Sophie refuses to give in, however, and insists that everything will be all right, but at times things at school get so bad that neither one of them seem to believe that. What My Girlfriend Doesn’t Know is an interesting story because we pick up with a new character telling the story. We see the relationship through a boy’s eyes, which changes the perspective quite a bit. Bullying is a strong theme in this book and while the students can be extremely cruel at times it never seems unrealistic. High school students can be capable of anything if the circumstances align. Students who enjoyed the first book will enjoy seeing how the relationship continues, but hopefully they will also take notice of how bullying effects those on the receiving end and not be so tolerant of what they see, hear, or actually do.